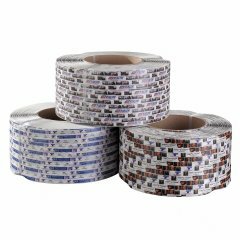 HQ Inkjet technology makes it possible to print black text or numbers onto polyester strapping. 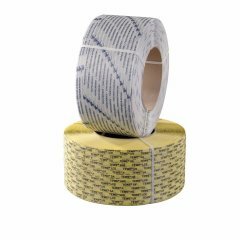 Our customers benefit from this solution if they want to print large quantities of strapping, simple marks, or serial numbers. 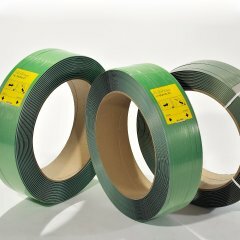 In this segment, we also offer AAR (Association of American Railways) approved strapping. 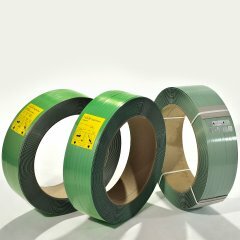 This PET strapping was certified and approved by an external organization and specifically for open top rail transport in the U.S. 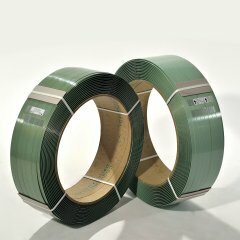 In the NAFTA zone, securing cargo on railroad wagons by means of strapping is permitted only with this special printed and highly tear resistant strapping.